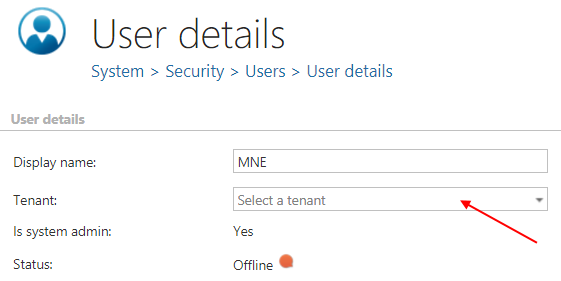 Every user belongs to at least one tenant. 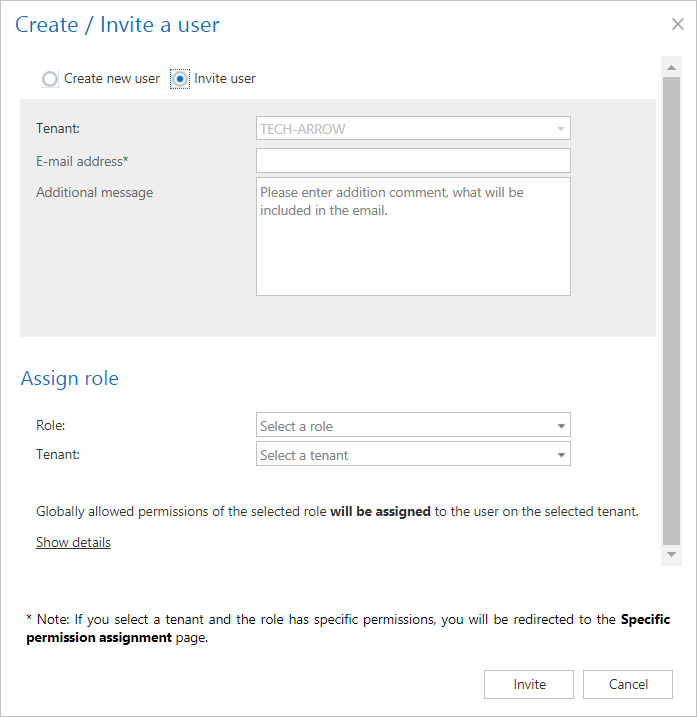 When creating or inviting a user, a tenant must also be selected. The default tenant here is the same tenant as selected in the upper right corner in Central Administration. 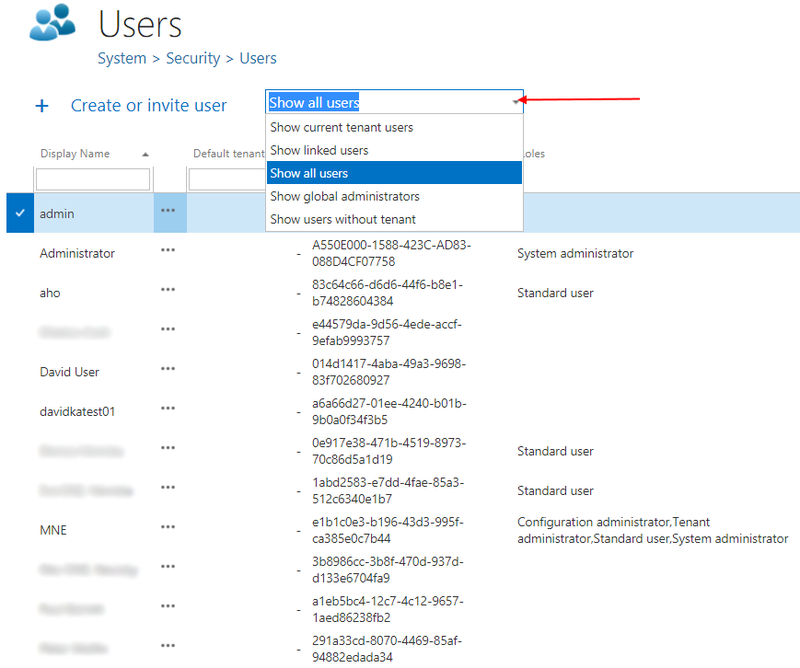 Go to user details (User -> pick Edit from its context menu). 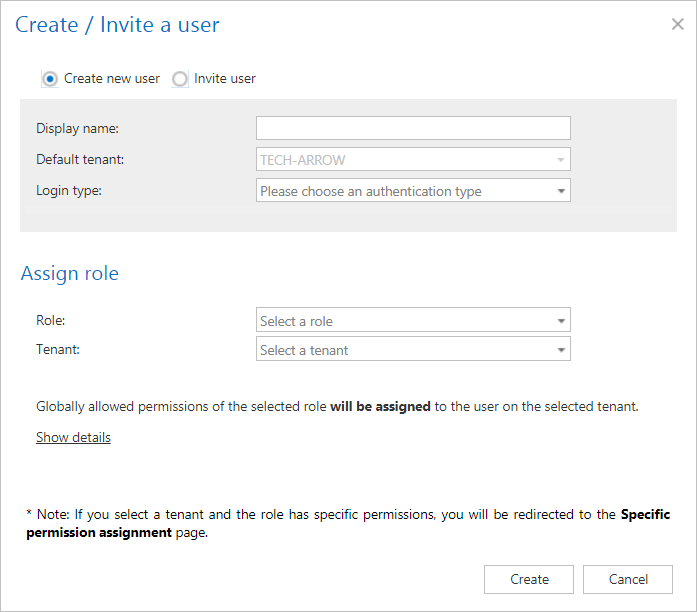 If you have manage tenant permission on the default tenant of the user, you can change his tenant.